Cheating in calligraphy isn’t really cheating. Learning modern calligraphy can be tricky, and – as with anything in life – all of us learn in different ways. If you’re one of those people who can watch someone paint or draw, and copy it perfectly straight away, then you’re lucky! I actually think it’s why I enjoy modern calligraphy so much. You do have to learn to copy, but at your own pace and with plenty of leeway for writing in your very own style. My modern calligraphy workshops include practice sheets where we copy shapes and letters. Some people find it really easy, and others take a little longer. Getting shapes exactly right can take a lot longer than you’d expect! 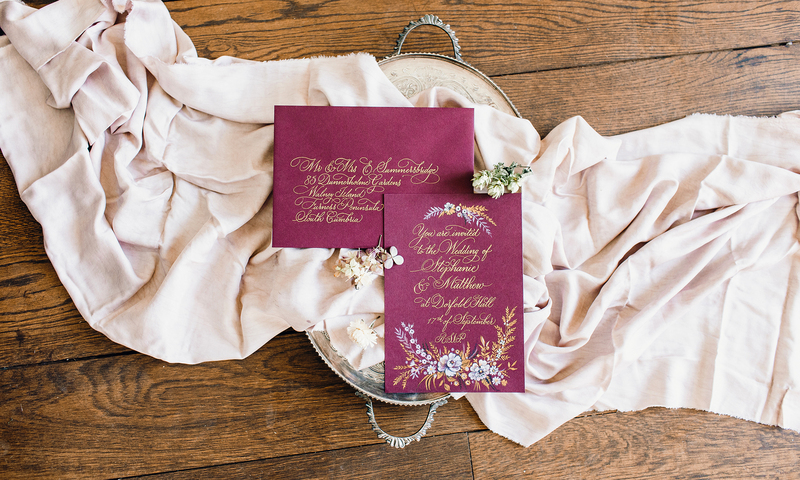 Master calligraphers spend years perfecting their arm movements to create delicious shapes with an instinctive rhythm, but that’s not what modern calligraphy is about. 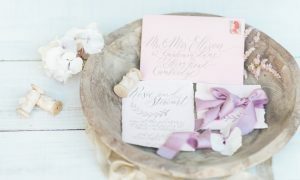 My workshops are all about introducing you to the art of modern calligraphy. 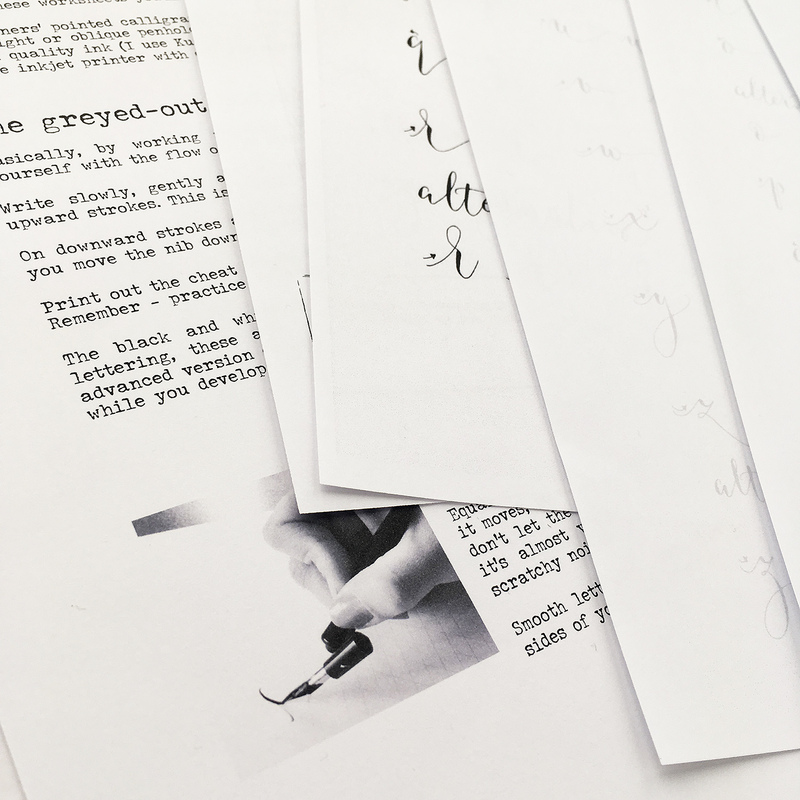 My aim is to show you that everyone can write in their own modern lettering style – the trick is to understand the flexibility and angles of a dip pen and nib. Every now and then I bring a cheat sheet along to my classes as a confidence builder, and I think they’re a lovely way to really feel how your arm and hand need to move to form letters. Having to concentrate on your pen angle, pressure and copy letter shapes all at once is a lot to take in. 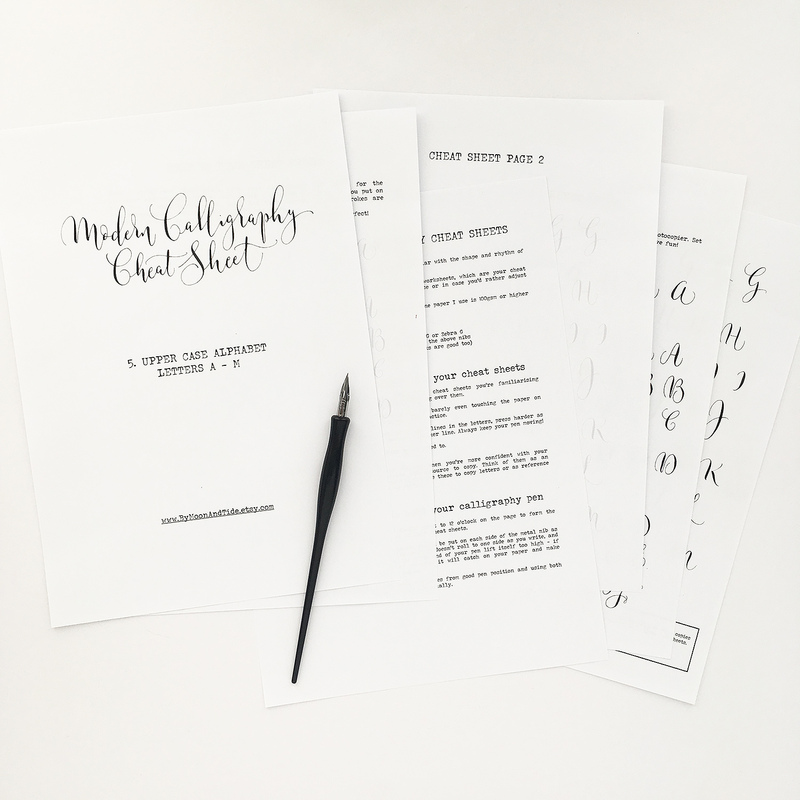 If you’re more comfortable learning one step at a time, then I really recommend calligraphy cheat sheets! I’ve put a series of 9 calligraphy cheat sheets in my Etsy shop. Basically, they’re for tracing shapes, letters and joining strokes / words. 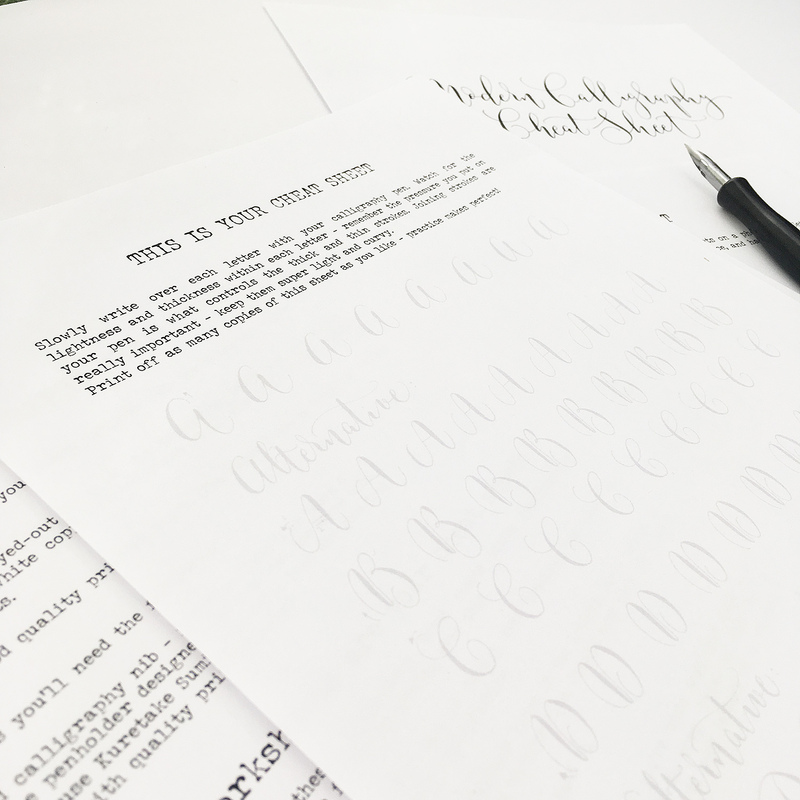 You get to really focus on how your nib needs to move to form beautiful letters, and learn the rhythm of calligraphy lettering without having to worry too much about the shape (or spelling!) of words. I’d love to know how you get on with them! Do they help your calligraphy practice? Often students tell me they’re a nice way to relax and look at letters a little differently, or just a lovely break from copying and ‘alphabet drills’! And for others, if a particular letter is proving to be a hurdle to master (r, anyone?!) tracing a cheat sheet brings on that eureka moment where the shape clicks and you just ‘get it’! Previous PostPrevious Are you keeping your calligraphy a secret?